Barnsley youngster Dylan Mottley-Henry was delighted to make his debut for the club despite the day ending in defeat. The Reds were virtually dead and buried inside a frantic opening 19 minutes in Saturday’s 3-1 mauling at the hands of Aston Villa. Former Red Conor Hourihane showed the club what they are missing after big-money striker Scott Hogan bagged a quick-fire seven-minute brace. Wing-back Dimitri Cavare got Paul Heckingbottom’s charges in the board but they just could not mount a comeback. Mottley-Henry joined the Reds back in 2016 from Bradford City. And the player, who came on as a sub, said: “I’m just delighted to make my debut. Villa Park is a great place to make your debut. But it’s anyone’s dream to just make your debut, especially for a Championship club in this league. “I’m very happy about it and I can’t wait for the future. Thursday’s session the manager told me I needed to be ready and that I’d be on the bench. The damage was already done by the time I got on. The Reds have a rich history of bringing young players through the club. John Stones, Mason Holgate and James Bree are examples of academy players who came through the ranks at Oakwell who went onto secure big moves away. 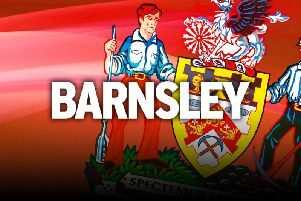 And the likes of Alfie Mawson, Sam Winnall, Conor Hourihane, Marley Watkins and Marc Roberts benefitted from being given the chance to shine at Barnsley. Mottley-Henry admits Oakwell is the best place for him to develop. And he hopes he did enough on his debut to be considered for further selection. He added: “I was only on for about twenty minutes, but I tried my hardest and I think that’s all anyone can ask. A few teams want me to go out on loan to them but I think the manager wants to have a look at me first. He wants me to prove to him what I can do and hopefully I’ve done that. Meanwhile, Paul Heckingbottom is still hopeful of adding numbers before the end of the month. The Reds have brought in two new faces already in the form of striker Kieffer Moore and wing-back Dani Panillos. However, with injuries galore in his squad Heckingbottom would love another three or four additions to his threadbare group. And he would also like the club to hire a specialist recruitment person to help spread the load among the club. Chesterfield striker Kristian Dennis is believed to be a current target, with Heckingbottom looking for a fourth option to compliment Tom Bradshaw, Mamadou Thiam and Moore up front. Goalkeeper Simon Eastwood at Oxford United is also another target as Heckingbottom looks to give Adam Davies some substantial competition.